I am often asked what kind of needles and thread I use when beading the jewelry I design and create. 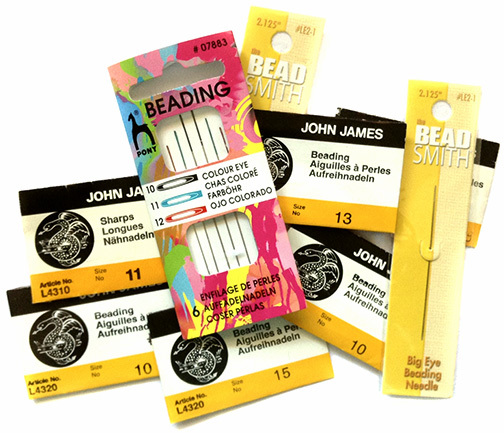 Although there are many different brands of needles and types of thread available, every beader has a personal preference and this preference will change over time. When following a pattern, it is always best to use the type of thread and weight that the designer specifies. This “tip” is about my preferences and in no way includes info on all of the different options and products that are on the market but I hope it answers some of your questions! Beading needles are different from regular needles that you use for sewing or embroidery in that they are often longer and more flexible. When I first started beadweaving, I used big eye needles. They are wonderfully easy to thread and come in many different sizes and brands. At the time, I was primarily exploring right-angle weave. As I ventured into peyote, herringbone and more intricate right-angle weave, however, I found that the big eye needles just would not work for me anymore. Quite simply, they got stuck. From there I switched over to John James brand English beading needles. You can buy them in packages of four that contain several different needles sizes but most beaders buy them in packages of 25. They come in needle sizes 10, 11, 12, 13 and 15 (the larger the number, the thinner the needle) and in “regular” (about 2 inches long) and “short” (about 1.5 inches long) needle lengths. The “short” needles, also called “sharps”, are too short for me so I prefer the “regular” needles. Size 10 and 11 work for most beadwork that I do and I use size 12 for peyote bezel work but I have never needed to use anything smaller. At first you may wonder, 25 needles per pack?… what will I ever do with so many and in several sizes to boot! Well, beading needles bend, they break—you will be amazed at how fast they go. Although I still have many packets of John James needles, several years ago I discovered Japanese Tulip brands needles and I just positively love them. They are they only needles I use now, mostly in sizes 10 and 11. Although they are much more expensive than most brands, they do last longer, break less and seem easier to thread. So what is FireLine? FireLine is a fishing line, more specifically—a “braided monofilament thread”. It is very different from the clear “single mono-filament” fishing line that you may have used when fishing as a kid and what many Japanese beaders use in their beaded designs. 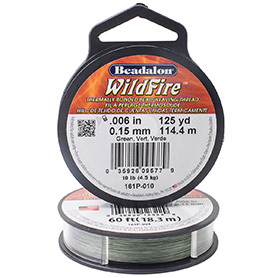 FireLine is not clear and although it is as fine and flexible as thread, it is much stronger because, basically, it was created for catching fish and not beading. When buying FireLine, it can get a bit confusing because sometimes you will see two different "lb" weights for the same spool. For instance, in the image above, the weight is listed as 6lb but then in smaller print to the right, it says 2lb/.15mm Diameter. This second, smaller weight is the "mono equivalent"—a value needed when fishing but not so when beading so ignore it. Go with the first pound value and when in doubt, check the diameter. 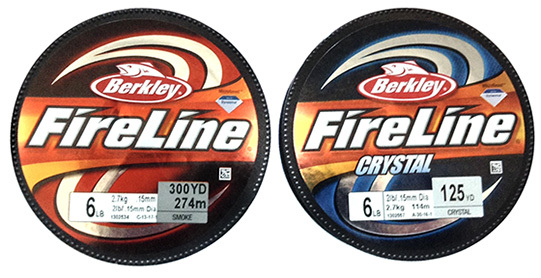 You can purchase Berkley Fireline at any store that sells fishing gear. I love FishUSA.com and Cabelas.com but you really can't beat eBay for a great buy. Beadsmith and Beadalon (Wildfire) have their own brand of Fireline available for sale. 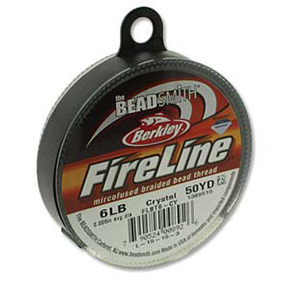 I have yet to see a difference between these products and Berkley's FireLine brand but they are more widely available at most bead shops than Berkely FireLine. Again, your preferences for needles and thread will change as your beading evolves and as new products come on the market. These are my preferences right now but they are always evolving!